Yellow Dock (Rumex crispus L) is well-known to entire Asia and Europe, and grows all over North America as a common weed. It's also cultivated in Europe as a vegetable. The Romans used yellow dock for skin complaints, and Gerard said '...it purifies the blood and makes young wenches look fair and cherry like'. Most of the native Americas applied the crushed leaves to boils and the pulverized roots to skin cuts. Yellow dock has been widely used as a herb that has general tonic effects. Yellow Dock is closely related to rhubarb and sorrel, but particularly helps the digestive tract, liver, and skin. One of its common uses is for skin conditions caused by poor digestion, poor liver function, or toxic accumulations. It's a small, leafy plant that grows wild worldwide. It belongs to the buckwheat family. It has deep yellow color of the root when scraped , which matches to its well-known name. The roots are 8- 12 inches long, and about 0.5 inches thick, fleshy, and usually not forked. The stem is 1- 3 ft high and branched. Blooming from June to July, the numerous pale green, drooping flowers are loosely whorled in panicled racemes. The fruit is a pointed three-angled and heart-shaped nut. Yellow dock is also identified as curled dock because of its long lance formed leaves that are slightly ruffled along its edges. Other names : rumex, garden patience, curled dock, narrow dock, narrow-leafed dock, sour dock. The leaves are 6- 10 inches long. Both its roots and leaves are used as herbal remedies. In terms of chemical analysis, yellow dock contains anthraquinone glycosides, tannins, rumicin, and oxalates, including potassium oxalate. Yellow dock is largely used in the treatment of liver diseases, digestive problems, and skin disorders. It has been described as an alterative, astringent, hepatic, laxative, and nutritive. Its roots contain relatively small amounts of anthraquinone glycosides, which are powerful laxatives in larger doses. Since yellow dock contains only small amounts of these chemicals, however, it is used as a mild laxative. From the ancient times yellow dock has also been used to help support and restore liver function. Applied externally as an antiseptic and an astringent, yellow dock has been used for treating chronic skin complaints, especially psoriasis associated with constipation; skin cuts, swelling, rashes, acne, boils, burns, bleeding hemorrhoids, dog and insect bites, and even wounds. An ancient British charm that was chanted when dock is applied to skin irritations caused by stinging nettle illustrates the use of yellow dock as a skin treatment: "Nettle out, dock in, dock remove the nettle sting." Yellow dock may also be taken internally as a treatment for such skin conditions as psoriasis, eczema, acne, vulgaris, papules, poison ivy, and other rashes, often in combination with such other herbs as red clover (Trifolium pratense), dandelion root (Taraxacum officinalis), cleavers (Galium aparine), and burdock (Arctium lappa). The anthraquinones have a cathartic action on the bowel, but act in quite a mild way, possibly tempered by the tannin content. It promotes the flow of bile, and its action on the gallbladder gives it a role in the treatment of jaundice when this is due to congestion. The plant's high iron content makes it valuable for correcting anaemia. A compress can be used to help soothe itchy skin. The ointment is valuable for itching, sores, swellings and scabby eruptions. It has been used in the treatment of liver and gallbladder disorders. Both the roots and leaves of yellow dock are used in remedies. Due to the mild and general nature of its actions, yellow dock is rarely used alone, but in combination with other herbal remedies. The roots are dug in late summer and autumn between the months of August and October. They are cleaned well and split lengthwise before drying. The roots are ground or crushed and then are used in preparing ointments, tinctures, decoctions, or teas. The ground root is kept cool and dry but not frozen. 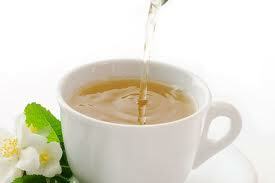 Tea is prepared by boiling 1-2 tsp (5- 10 g ) of yellow dock root in 500 mL (2 cups) water for 10 minutes. Syrup is made by boiling 0.5 lb of crushed root in a pint of syrup. Dried extracts of yellow dock are also prepared as pills or capsules, and are available commercially. These commercial preparations are often a mixture of several different types of herbs. The directions on the label of the commercial product should be followed for recommended dosages. For external applications, Yellow Dock is used to treat a number of skin irritations and good for natural acne treatment. The most effective only natural ingredients Aloe Vera, Dandelion Root, Yellow Dock, Echinacea purpurea, Burdock Root, Red Clover, Sarsaparilla Root, Licorice Root, Kelp, Cayenne, Tea Tree Oil have been used to support our skin by rebuilding cells which means reduction of inflammation, swelling and less scarring. Using nature's most powerful agents, the 100% natural Exposed SkinCare System works directly with your body's system to permanently eliminate your acne. The active ingredients unclog the pores and help your skin get rid of acne bacteria. Once the pores are free the wash goes deep inside the pores and fights the bacteria there. The young leaves of yellow dock may be eaten cooked as greens, but should not be eaten raw. If the plant is too bitter, it may be parboiled, washed, added to clear water, and cooked until tender. Since the leaves contain oxalic acid (similar to spinach), they should not be eaten frequently in large amounts as the oxalic acid can prevent the absorption of calcium. The seeds of yellow dock have been ground and used as flour. Yellow Dock comes in capsule, tincture, tea, and dried herb forms. Some herbalists typically recommend 1 to 2 mL of yellow dock thrice daily . It can also be taken in tea form by steeping 1 to 2 teaspoons of the root in 2 cups of water. Yellow dock should not be used by pregnant or nursing women, infants and children under the age of six, since no safe dosage has been established for them. Persons with any chronic diseases of the gastrointestinal tract, such as duodenal ulcers, esophageal reflux, spastic colitis, diverticulosis, diverticulitis, should not use yellow dock. A person with kidney disease ( kidney stones ), liver disease, or an electrolyte abnormality, should not use yellow dock, since the oxalates and tannins present in yellow dock may aggravate that condition. Yellow dock may cause mild diarrhea in some people. When used as a laxative, yellow dock should not be used for more than a week, unless a health practitioner has ordered otherwise. Overuse of a laxative may lead to dependence. Any sudden changes in bowel habits or function that last longer than two weeks should be checked by a doctor before using a laxative. Children up to six years of age should not take a laxative unless prescribed by a doctor. Large doses should be avoided due to the oxalate content. Excessive use of yellow dock can cause a blood disorder called metabolic acidosis and life-threatingin calcium deficiency in the blood. Call your doctor if you experience signs of low blood calcium, such as fatigue, seizures, confusion, muscle spasms, and numbness around the mouth. Yellow dock should not be used by people taking drugs that decrease blood calcium, such as diuretics, Dilantin, Miacalcin, or Mithracin. The side effects, especially if larger doses of yellow dock are taken, include diarrhea, skin eruptions, nausea, and vomiting. Kidney damage, characterized by blood in urine, decreased urine flow, and swelling of hands and feet may also occur. To increase the activity of Yellow Dock, it should be used in combination with such herbs as Red clover ( Trifolium pratense ), Dandelion root ( Taraxacum officinalis ), Cleavers ( Galium aparine ), and Burdock ( Arctium lappa ).